Yes you heard it! VOGUE!!! Pay as you feel donations gratefully accepted. Vogue evolved out of the Harlem ballroom scene in the 1980s, gaining mainstream exposure when Madonna released the song with the same title. However, Madonna’s commercial interpretation of the style far from represented its roots in Black and Latino LGBT Plus Underground Culture, where it was used as a tool to promote self expression, liberation and the development of alternative family structures for queer kids who needed them. 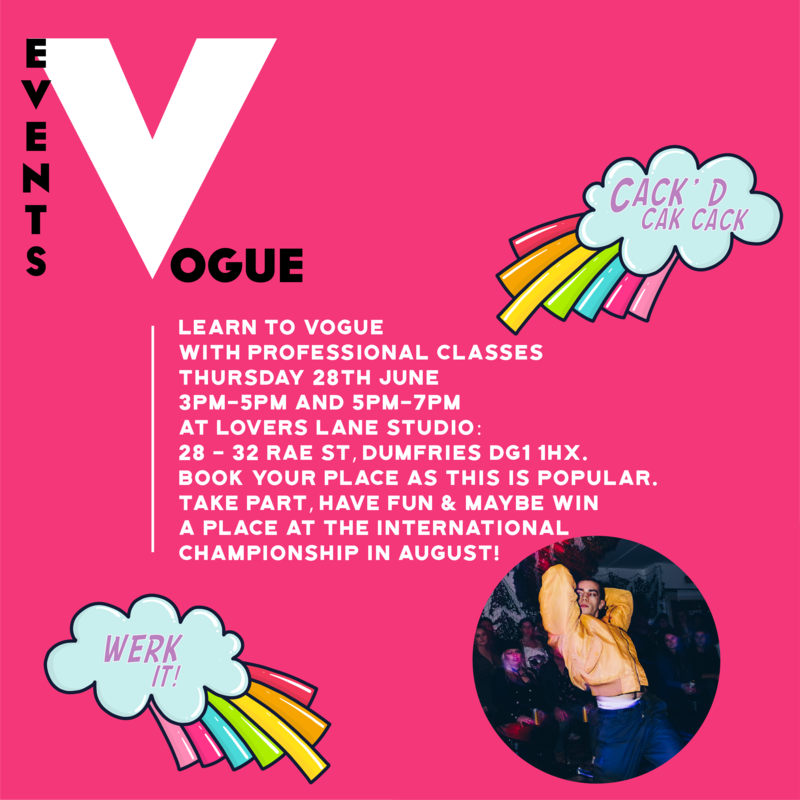 As a dance style Vogue presents itself in three forms – Old Way, New Way and Vogue Fem, which all feature in Ballroom culture alongside other fashion, runway and performance categories. Recognising the dance as a style of self expression these training spaces will offer the opportunity to explore the basics of each style, learn the history and most importantly where to find out more so that you can find your style and continue to grow. 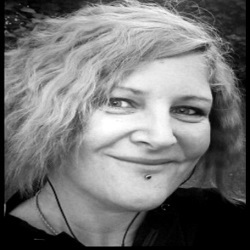 Emma Jayne Park (Pepper Bakewell) is a dancer originally from Gretna, who has travelled nationally and internationally to research the queer art forms Waacking and Vogue. Committed to developing the scene in Scotland she now runs regular mini-balls in Glasgow, bringing teachers from across the European Ballroom Scene to ensure that Scotland has access to authentic information about the styles and subcultures that they were born in. Please confirm with Blou straight away and book your place using the form below!